One dance hall at a time...That is the life work of Jesse Lége: to bring traditional, foot-stompin’ Cajun dance hall music from the dusty back roads of southwest Louisiana, coast to coast and around the world. Jesse Lege defines traditional Louisiana dance hall music. His unmistakeable hard driving style of accordion play and his powerful voice will get even the most staid listener up on the dance floor. Whether he is performing with Bayou Brew or his many friends, Jesse can crank up any old tune to something new and very different than you have ever heard before. Vocalist of the Year, Band of the Year, Song of the Year (for "Mémoires Dans Mon Coeur"); in nearly 40 years of playing, singing and living Cajun music, Jesse Lege has seen and done it all. In 1998 Jesse was inducted into the Cajun Music Hall of Fame. His performances include Festival Acadiens, the prestigious University of Chicago Folk Festival, the New Orleans Jazz and Heritage Festival, major festivals in California and Florida, and the Bury, England, Cajun Festival. Recently, Jesse toured France and England with Joel Savoy and Bobby Michot, with their new CD. Jesse also recently played the Strawberry Park Cajun Festival in Connecticut; the Cajun festival in Wakefield, Canada; the Dance Flurry in Saratoga Springs, New York; the Mardi Gras Ball, in Rhodes-on-the-Pawtuxet, Rhode Island; the Grey Fox Festival, in New York; and the Newport Folk Festival, in Newport, Rhode Island. 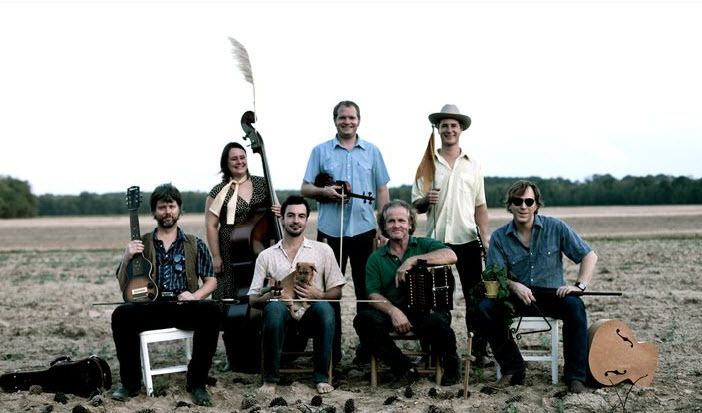 Led by legendary Cajun musician, Jesse Lege, the Cajun Country Revival also features Cajun fiddle wunderkind Joel Savoy and young roots country masters the Caleb Klauder Country Band, which includes Sammy Lind and Nadine Landry of the Foghorn Trio. It's no exaggeration to say that this is a super-group of American roots musicians. "It’s not strictly the accordion-dominated Cajun dancehall variety, nor is it pure old-time weepy country recalling the ghosts of the Carter Family..... it’s the right combination of everything: 11 tracks of artfully blended musical personalities for an essential collaborative feel..... For Cajun and old-time country music aficionados alike, The Right Combination is an instant underground classic. Recommended."